Hey, all my LLP gals. 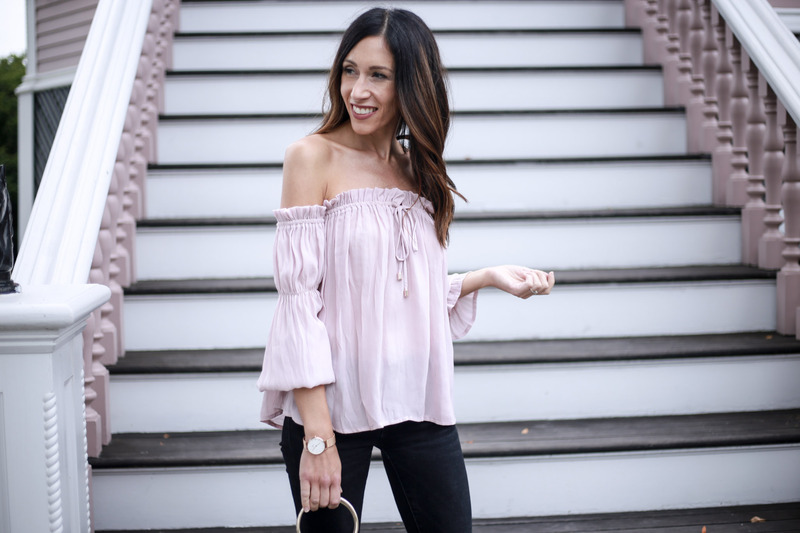 Are you loving this chic affordable look from Nordstrom as much as I am? Do you not shop at Nordstrom because of the price? Every piece I am wearing is under $100, and most are under $50! Fashion bloggers need help too. Somedays I want to branch out, or maybe I just don’t have a clear vision of what I am looking for. Love me some Nordstrom, but their sales staff really stole my heart. Having a few sale girls you always turn to is great because they get to know your style and body type. They helped dress me for my first NYFW, and Kylie ( Nordy gal) actually picked out this top. She had me try it on because on the hanger she said, did not do it justice. She was right! There seems to be a misconception that when you shop at Nordstrom, you break the bank. I hear people say all the time “it’s so expensive there”! Nordstrom is known for carrying many different brands in a variety of price points. They have the most on trend junior section and lines range from $24 – $70 and have many age appropriate pieces. The look above is super affordable and every piece is under $50 except for the shoes that are under $100. If you shop online often, you know all about leaving them on the bedroom floor for months! Nordstrom has the absolute best return policy, which is huge when you’re indecisive like me. The return policy makes it easy to order 2 or 3 sizes at a time. When you’re stuck home with the kids or just don’t want to spend hours at the mall this can be life-saving! When you shop at Nordstrom you know every one of the hundreds of brands is amazing quality. Whether you purchase from the luxury, junior, children’s etc every thing I have ever purchased is worth it. Mixing high and low pieces is important. Nordstrom carries everything from Christian Louboutin to Steve Madden. Nordstrom has the most helpful and educated sales staff. If your looking for the perfect event dress or an everyday pair of jeans there personal stylist and sale people are hands down the best! You can always use their personal stylists for free. They will bring you different pieces to try, and help with pairing. Last but not least, they have amazing sales like the Nordstrom Anniversary sale. Brand new items are marked down before they go up to their full price. If you have followed LLP for a while then you already know my love for the #Nsale. If you follow me on Instagram and use Liketoknow.it then you know how often I shop at Nordstrom. As much as I love ordering online, you can’t beat the in-store experience. Did I mention that the Nordstrom Cafe is AMAZING! Shopping and coffee, know, that’s my kinda place!